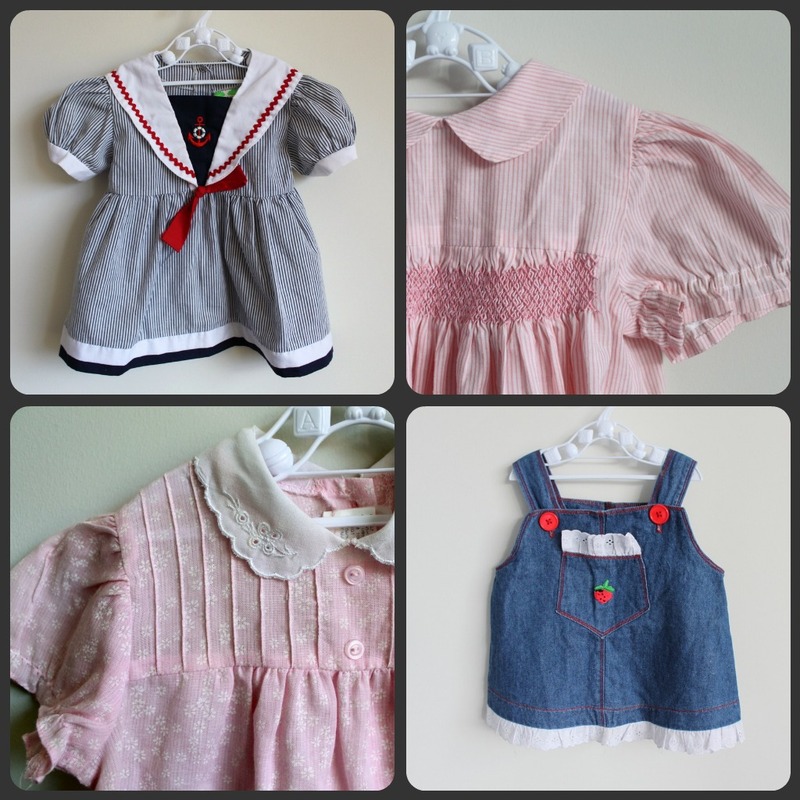 i think i may have mentioned it before... but i have an ever growing collection of vintage baby and child clothes. i started buying them years ago as gifts and then realised how freaking gorgeous some of those little dresses and shirts were... so i started putting some of them aside. now i have almost two plastic crates full (and no immediate plans for children) so i thought that it was time to share the love and open my collection to some of you who do have children or nieces and nephews or friends with children. 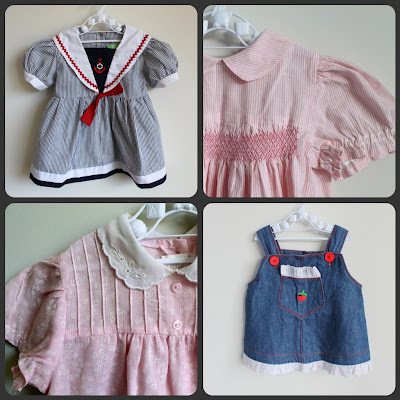 i am finding that it is becoming really difficult to find vintage childrens clothes... so look no further! i will be starting to sell a few little goodies through my 'green tea and red nails' facebook page which you can find over HERE. like this page to receive blog updates, lovely images and access to some handmade and vintage goodies! as an OPENING SPECIAL - all items will be $8 only until the end of the week! Postage will be charged at $4 for as many items as you wish to order! all items will be washed, ironed, gift wrapped and delivered to your door via Australia Post! payment can be made via paypal or bank deposit! Thanks for your love and support - you guys are the best! oh so cute, they just dont make clothes like those these days..........mass produced bla bla bla, lucky us op shoppers "find" and look after some of these "treasures" I say!!! Simply gorgeous! squeee! everything is so gorgeous!! you honestly have the cutest taste ever! the clothes are adorable! okay how do I buy stuff? MUST DO IT NOW!!! Im so excited!